I like to curl my hair in 3 layers, so let’s start with the bottom layer. Holding the curling wand with the plug-end facing up, select a piece of hair about a quarter or half inch thick. If you want more piecey waves, choose thinner pieces of hair. Hold the curling wand behind the piece of hair and wrap the hair around the wand, away from your face. Hold for 10-12 seconds. For the middle layer, I recommend alternating which way you curl each piece. 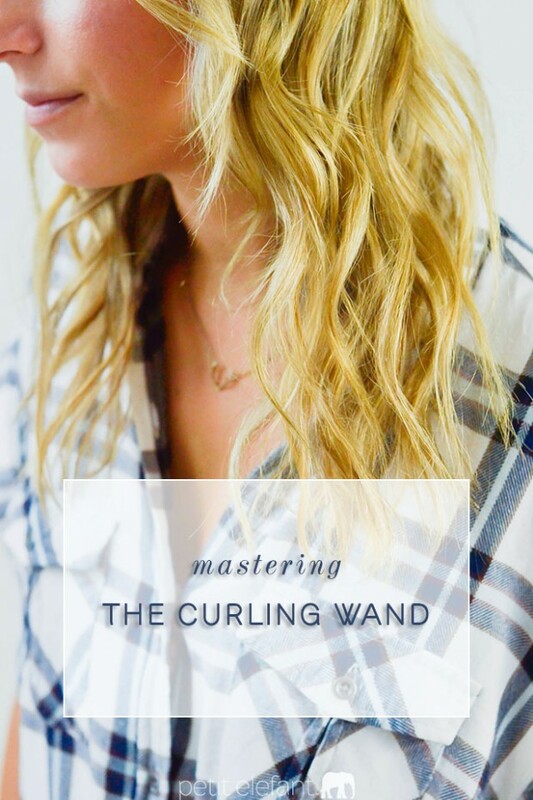 Try some by holding the curling wand in front of the piece of hair and wrap it around the wand towards your face. Hold for 10-12 seconds. 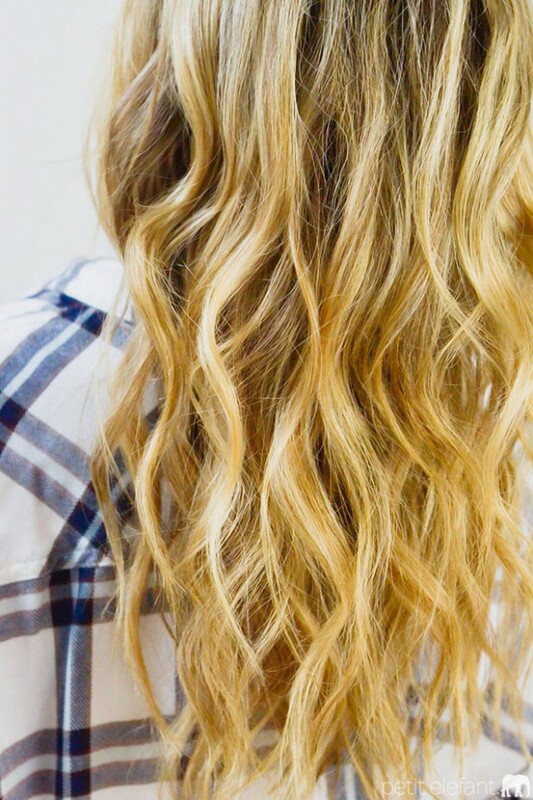 When you switch to the other side of your head, make sure you also switch the curling wand into your other hand. So hold the curling wand in your right hand when doing the left side of your head, and in your left hand when doing the right side of your head. When you get to the top layer, continue curling pieces away from your face. 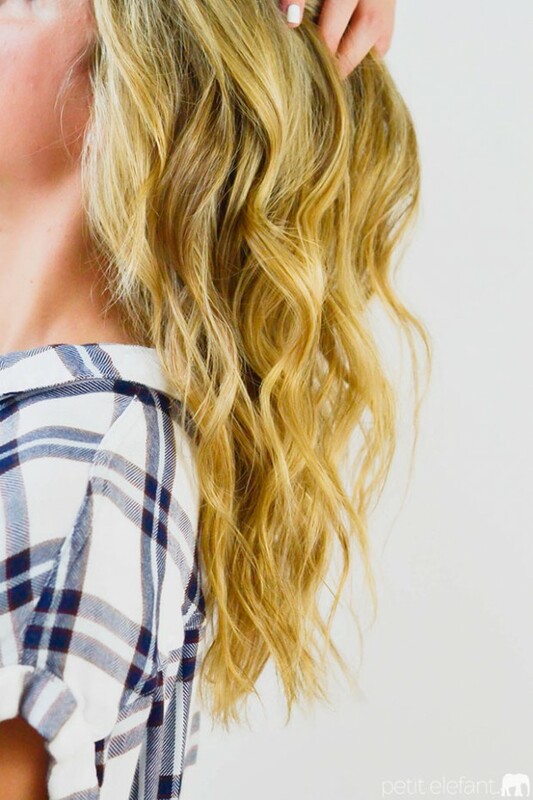 Don’t hold the front pieces of hair around the wand as long (I’d suggest 5-7 seconds) so that they stay looser. Finish with a spritz of hairspray and some de-frizz creme. 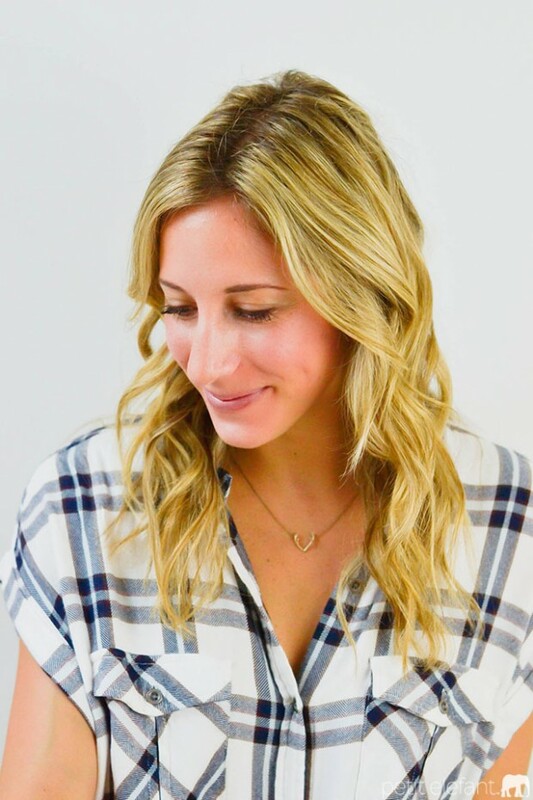 Blogger at Advice from a Twenty Something, Amanda Holstein lives in San Francisco, CA where she writes her modern advice column for the everyday, stylish girl. She’s not your high-fashion guru, she’s your friend who knows about the sale at Madewell and who’ll actually tell you if that shirt doesn’t look good on you (someone needs to, right?). Besides blogging, Amanda works full-time at Federated Media Publishing, helping some of her favorite online publishers do what they love. What temperature is the wand on? This makes so much sense. I can’t wait to try this method, I’ve been doing it wrong. LOL. Layers!!!! Thank you! Great photos that helped me understand the process.